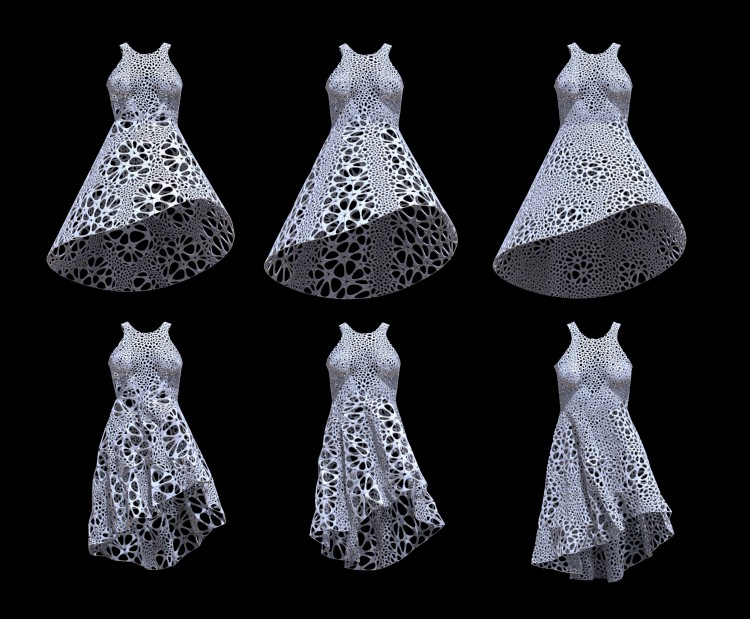 Nervous System – Debutes Kinematics Cloth App at Solid 2014 #3DxFashion #3DThursday #3DPrinting « Adafruit Industries – Makers, hackers, artists, designers and engineers! …Our Kinematics design system pairs a constructional logic of hinged panels with a simulation strategy of folding and compression to produce customized, flexible designs that can be fabricated efficiently by 3D printing. At Solid, we will debut Kinematics Cloth, a new app that allows people to design their own 3d-printable clothing from 3D scans of their body. 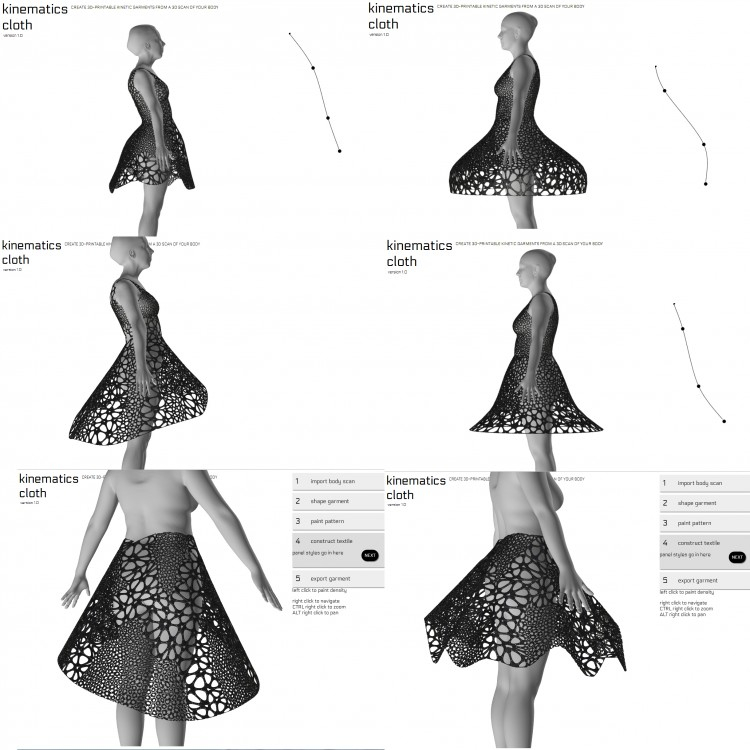 The browser-based app supports the real-time design of shirts, skirts and dresses. Users sculpt the overall shape of their garment and paint patterns and textures onto its surface. By varying the size of panels, they can construct garments that drape, flow and move in ways unique to this one-of-a-kind “fabric”. We’ve partnered with Body Labs to create Kinematics pieces custom fit to your body. Body Labs creates accurate and clean body models from 3D scans or measurements. These models are fed directly to our Kinematics app, allowing any design adapt to your exact shape…. Read More. And link to Solid 2014 page here. The Adafruit Learning System has dozens of great tools to get you well on your way to creating incredible works of engineering, interactive art, and design with your 3D printer! We also offer the Printrbot Simple Metal 3D Printer in our store. If you’ve made a cool project that combines 3D printing and electronics, be sure to let us know, and we’ll feature it here!